Tiberius. 14-37 AD. 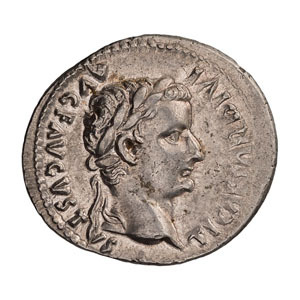 Denarius, 3.63gg. (10h). Lugdunum. Obv: TI CAESAR DIVI - AVG F AVGVSTVS Head laureate right. 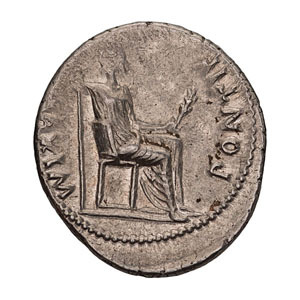 Rx: PONTIF - MAXIM Livia seated right holding scepter and branch, throne has plain legs, two lines below. BMC 34. Paris 16. Cohen 16. RIC 26. Mint State. NGC 4625017-008. Ex Berk 151, 1 November 2006, lot 336.